Tigonus is the eastern region of the Alik'r Desert. The city of Kozanset sits roughly in its center, with Satakalaam and the Motalion Necropolis to the north, and HoonDing's Watch to the south. The Tigonus Dolmen lies east of Kozanset, along the border with southern Bangkorai (though there is no crossing here). 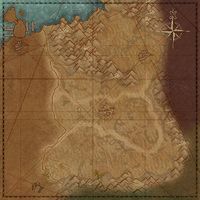 The Hollow Wastes region borders on the west. These side quests count towards the Alik'r Desert Adventurer achievement. 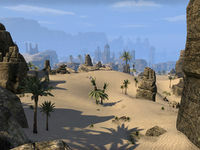 For Covenant storyline quests which also contribute to this achievement, please see Alik'r Desert Quests. ​ Ash'abah Hero 5 Defeat the Withered Hand and reclaim all the Ansei Wards. This page was last modified on 10 May 2017, at 11:32.